Would your idea of a luxury cruise include playing three or four rounds of golf ashore while travelling around Europe? 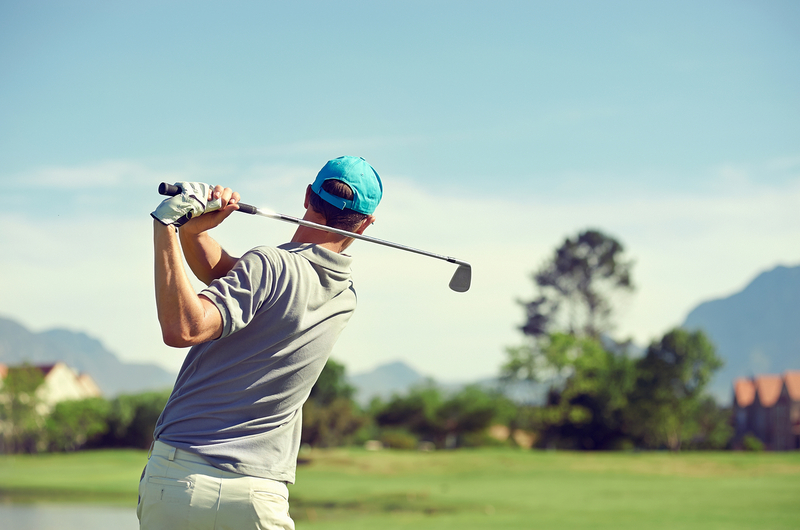 EUROPA 2’s Golf & Cruise voyages, in co-operation with the Professional Golfers’ Association (PGA) of Germany, oﬀer guests the chance of playing on a variety of top golf courses and practising on the on-board simulator. Golfers play on idyllic courses such as the Bro Hof Slott Castle Course in Stockholm and the Sperone Golf Club on Corsica. Guests enjoy an all-round package: transfers, tee-oﬀ times, trolleys and electric cars are booked, with support from the PGA professional. The on-board simulators mean that participants can also enjoy training and playing golf on days at sea. EUROPA 2 also oﬀers ‘Golf à la carte’ on request, and the travel concierge can organise a customised and convenient tour, which includes arranging tee times on the courses, as well as transfers. PGA golf pro Stefan will be accompanying the Europa 2 cruise from Venice to Monte Carlo from June 30 to July 10, 2017. Ports of call are Corfu; Messina in Sicily; the Italian island of Capri; Civitavecchia (Rome) for golf at Parco de’ Medici Golf Club; Bonifacio in Corsica for the Sperone Golf Club; Portoﬁno in Italy; and Nice for the Opio Valbonne Golf Club. Price from £4,294pp, cruise only in a Verandah/Ocean Suite. Golf package £911pp. From August 24 to September 6, 2017, PGA golf pro Ralf will be on board when the ship sails for 13 days from Hamburg, through the Kiel Canal; Copenhagen for the Kokkedal Golf Club; Stockholm for the Bro Hof Slott Castle Course; Tallinn for the Estonian Golf Club; Helsinki; St. Petersburg; Klaipeda in Lithuania for the National Golf Club; and Gudhjem in Denmark. Price from £9,196pp in a Grand Ocean Suite, cruise only. Golf package £1,211. EUROPA 2 also oﬀers taster golf training courses with hire clubs for future young golfers aged six years and over. 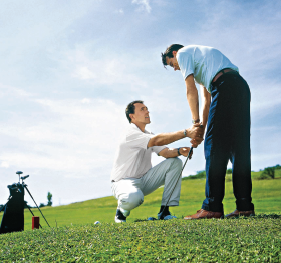 After the trial session, private lessons can also be booked with the golf pro. HOW ABOUT A HOTEL BARGE CHARTER? European Waterways offers a range of themed cruises aboard its fleet of hotel barges, including golfing in Scotland. Charter groups of golfers (up to eight people) can request any departure date aboard Scottish Highlander, depending on availability. The six-night cruise from Muirtown to Banavie, or reverse, takes in the spectacular scenery of the Great Glen between Inverness and Fort William. There’s also the opportunity to play golf at top-class courses including Royal Dornoch and Castle Stuart. Tours ashore are arranged for non-golfing guests, such as visits to Cawdor Castle and the Glen Ord distillery. Golfers pay a supplement of £550pp and cruises include four pre-booked tee times and transfers to and from the courses. An eight-passenger, whole barge charter price starts from £19,700 all-inclusive.